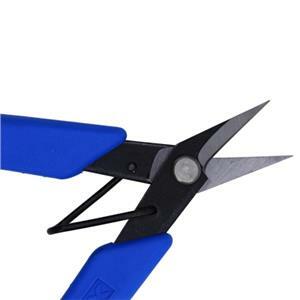 6.5 inch Xuron Non-Serrated Shears, Cuts up to 20 gauge soft wire and sheet. These are high durability shears. Leaves a flat end on both sides and the spring handles help your wrist combat fatigue. Works great on jump rings! Customers interested in our shear also love to check out our round sterling silver jewelry wire.